Kinetika is an internationally renowned company with an 18-year track record of combining world-class design with community projects to produce spectacular outdoor events that engage diverse audiences wherever we work. Founded by artist Ali Pretty in 1997, and inspired by her training in carnival arts in Trinidad and India, Kinetika now has an unrivalled reputation for working with local communities on projects that change the way people feel about where they live. From local community events in shopping centres, ceremonial boulevards and local high streets, to the Great Wall of China and the heart of Kolkata. Our charitable arm, Kinetika People, is known for its high quality community engagement work, running participatory programmes, workshops and artist training schemes, which aim to nurture new artistic talent and engage communities, raising aspirations and building a sense of place. The commercial arm, Kinetika Design Studio, has been commissioned to create ceremonies for high profile events including FIFA World Cup 2009, the London Paralympic games and Team GB Parade in 2012, and the Atlanta Olympics 1996. Think Arts was founded in Dec 2013 to bring imaginative experiences for children and young people through an engagement with the arts. In the last three years, they have reached over 15000 people, mostly children and young people, across three cities in India, working in schools, museums, heritage spaces and art galleries. Apart from creating unique art-engagements for children, they also present performances for young companies by companies from India and abroad. They are currently working on collaborative projects with artists based in England, Scotland, Wales and Germany. Department of Tourism, Govt. of West Bengal. The Tourism Department are pleased to support the Silk River India Walk by providing a boat for all days of the walk, and accommodation at Barrackpore. The Indian Ministry of Culture & the Victoria Memorial Hall are partners for the Closing Ceremony of Silk River India which will happen on 16th Dec. All the Silk River banners will also be exhibited at Victoria Memorial Hall in the Central Hall on 19th Dec.
Co-ordinated by Banglanatak on behalf of The Govt.of West Bengal and UNESCO. Banglanatak is a social enterprise working at grass roots level with a mission to foster pro-poor growth and safeguarding intangible cultural heritage. The organisation uses culture based approach for development and community skill empowerment. Theatre is used to educate people on diverse social issues, mobilising community led action, life skill development and participatory research. In 2000, Banglanatak created a portal on theatre in Bengal after months of in-depth research, which proposed the idea of using our cultural heritage as a tool for community empowerment by engaging them in building community awareness and creating local champions for advocating change. Today the organisation has covered more than 2500 villages across 23 states of India. Every campaign design involves research to understand communication needs, identifying local partners and finally training them to become advocacy champions. Biswa Bangla encourages innovation, provides design assistance, opens direct sales points, improves quality and supply chains for the handloom and handicraft products of the state under the brand Biswa Bangla. It also focusses on back-end interventions to develop new products so that more weavers and artisans can be brought under the project; and on reviving products that have almost disappeared. On another level, a team of folklife and cultural heritage specialists, representing a wide range of expertise and experience, design and implement traditional arts research projects and create public events, education programmes, folk art collections and exhibitions.These activities serve to provide increased access and support to the craftspersons, weavers and their work. Biswa Bangla has opened showrooms at the Kolkata and Bagdogra Airports, Dakshinapan and Rajarhat in Kolkata and on Kharag Singh Marg in Delhi. The CCWB has been working since 1966 to find avenues for a better life for crafts persons both as part of their larger community and that of the natural environment. Its role is not just that of a catalyst, but also as a beneficiary of the resulting harmonious socio-economic order. 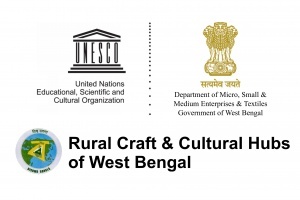 It is a non-profit making voluntary organisation head-quartered in Chennai, Tamilnadu committed to the preservation of the traditional crafts of West Bengal and Eastern India through research, documentation, design and development and marketing at the grassroots level. Today CCI works together with a network of 9 State councils. Activities include technology programmes, design interventions, workshops and collaborations with museums by organising live demonstrations by crafts persons and Folk performing artists. Murshidabad is a lush region situated in West Bengal, especially the circuit of Azimganj-Jiaganj-Murshidabad, with its huge wealth of culture and heritage. The Business Community of Murshidabad is extremely focused on sharing the rich history and legacy of the region through a strong social network. Members of this community, famed for distinguished entrepreneurship, their spiritual and philanthropic visions can be seen in the established places of worship, hospitals, schools and colleges and dharamsalas. The motivating force behind this focus on the region is this community’s love and patronisation of art, architecture, horticulture, cuisine and culture amongst others. The Murshidabad Heritage Development Society (MHDS) was born in 2010 to make people conscious of their heritage for its preservation. The Society is supported by spiritual leaders, architects, ayurvedic health-care specialists, NGOs, State Tourism Department, Union Ministry of Culture etc. 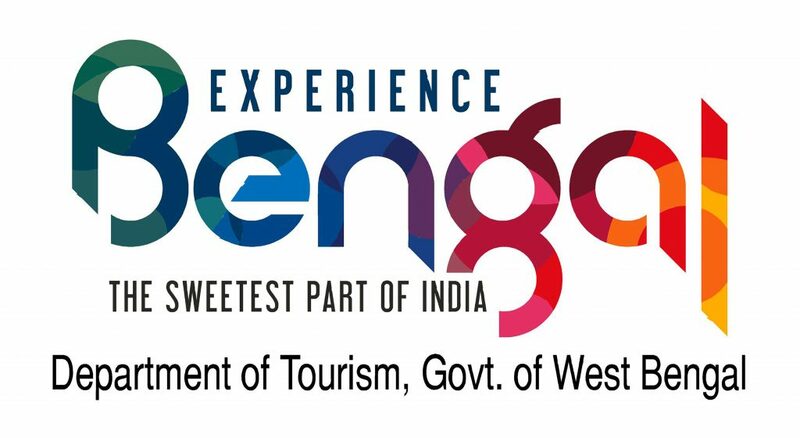 To make people aware of India’s rich heritage, the Society has undertaken several programmes, including Murshidabad Heritage Festival, Boat Race, Heritage Walk Map of Azimgani, Sheherwali Cuisine Recipe Book and Kitchens of India Festival, World Heritage Day and Week at Victoria Memorial Hall, and a Vocational Training Centre. Metal was founded in London in 2002 by Jude Kelly OBE and has been active in Liverpool since 2004, in Southend-on-Sea since 2007 and in Peterborough since 2012. In each place, Metal works from buildings of historic significance that they transformed from empty or derelict spaces into vibrant cultural community hubs that provide short-term incubation space for artists studios and other creative industry organisations. They are also well used by numerous community groups for meetings, workshops, performance, artists’ talks and the development of networks and ideas. Metal host artists-in-residence programmes such as Time & Space / International Programme, and running intensive, week-long Culture LAB’s for peer-to-peer learning and exchange. In addition Metal creates large- scale, participatory projects such as Thames to Tama that worked with 4665 young people from 25 schools along the north bank of the Thames Estuary. Metal curates exhibitions and events, which are often in response to place, for example our Shorelines Literature Festival of the Sea hosted in the coastal town of Southend, and Village Green which attracts 20,000 people to share in great music and art. Totally Thames is a festival organised and delivered by Thames Festival Trust that takes place over the month of September and brings the Thames River to life via an exciting season of arts, cultural and river events throughout the 42-mile stretch of the Thames in London. The programme is promoted widely both nationally and internationally with partner organisations. In 2015, 2.6 million people attended over 150 Totally Thames events and the London-wide marketing and PR campaign achieved a reach of 124 million people. Totally Thames is endorsed and supported by The Mayor of London, London First, Arts Council England, Port of London Authority and all 17 London boroughs with a riverfront. The charitable trust has a 17-year track record in delivering high quality river and riverfront events including the Thames Festival and The Queen’s Diamond Jubilee Pageant. 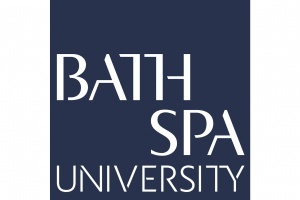 Bath Spa University is a leading university for creativity, culture and enterprise. Based in a World Heritage city and connected to a network of international partners, Bath Spa University aims to ensure that its graduates are socially engaged global citizens. The Long Distance Walkers Association (LDWA) is an association for people with the common interest of walking long distances in rural, mountainous or moorland areas. Since its formation in 1972 (founders Chris Steer and Alan Blatchford) the LDWA has grown steadily from 355 members to over 7,000 at present. 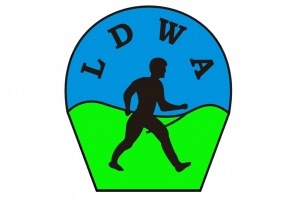 In 1985 the LDWA became the governing body for long distance walking recognised by Sport England and became incorporated in 1999. By joining the LDWA, members meet other like-minded long distance walkers and gain access to information on walking events and long distance walking routes all over the UK. There are currently 44 local groups that host regular group walks led by one of their members as well as organise social events and longer trips. It is the London group of the LDWA that will partner on the Silk River project.